Well, needless to say I ate a very large helping of humble pie after last week’s game. Not my favourite dish, that’s for sure. Things all seemed to fall apart against the Lions after what actually seemed like a really promising start. Within the first minute, the Sharks were on the Lions’ try line, looking formidable to say the least. But it came to naught, as did every other opportunity the Sharks had. The only points earned were off the boot, and even those were few and far between. I was excited to see the team playing a more attacking brand of rugby, forgoing the endless kicking away of possession but they seemed to get increasingly frustrated as things didn’t go their way, and the more frustrated they got, the more mistakes they made, and the more mistakes they made, the more frustrated they got…you see where I’m going with this. I mean, even Beast was losing his temper. I don’t think I’ve ever seen that happen before. But that was last week, and now it’s time to shake it off and start with a clean slate. Sure, it wasn’t the best way to go into a tour, but often the Sharks thrive under the pressure of being perceived as the underdogs. They take on the Blues in Auckland on Saturday morning, and while it will certainly be a challenge, the Blues haven’t beat the Sharks since 2005. The Blues have also only won two of their six games this season, drawing another and losing three, so they’re not having the most amazing time. Those losses have not been against easy opponents though, so the match will definitely not be a walk in the park, and the Sharks suffered a massive setback with the loss of Marcell Coetzee in the match last week (a loss made even sadder by the fact that it means we probably won’t see Marcell play in the black and white for at least another three years, since he is set to take up his contract with Ulster once he recovers). 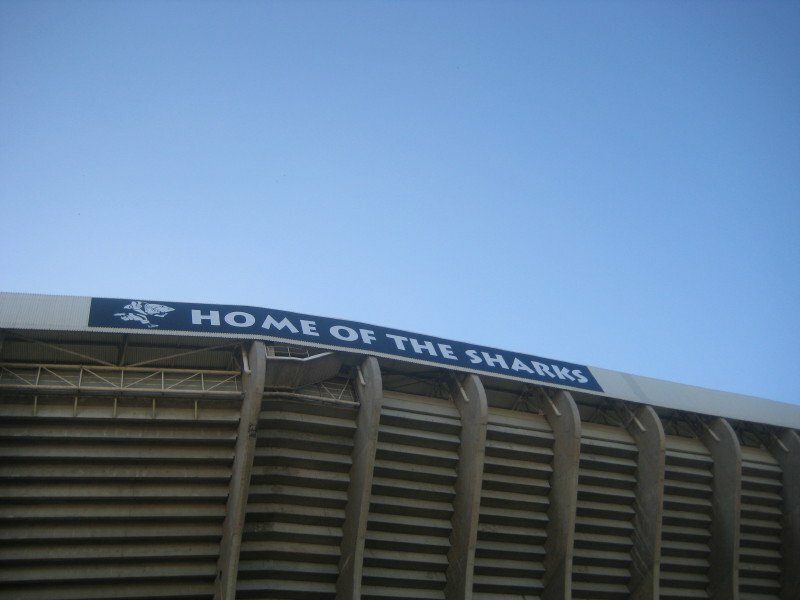 But the Sharks really need to break their current losing streak to build their confidence before the next two weeks’ tougher matches against the Highlanders and the Chiefs and I suspect there will be enough to play for to give the passion needed to triumph.